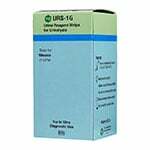 ADW Diabetes offers Urinalysis Test Strips for your reagent testing needs at low pricing! We carry a wide range of urine test strips used for measuring glucose, ketones, and protein from manufacturers like: Bayer, Teco, and TruePlus. 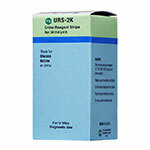 Many of our urinalysis test strips are available in single vials or in discounted multi-packs. 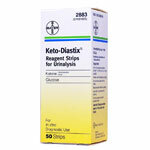 Browse through our wide selection of ketone test strips and trust ADW for the best prices and service. 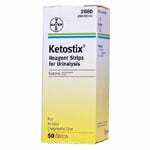 What Benefit Do Ketone Test Strips Have for People with Diabetes? Using ketone urine test strips are an accurate, quick and easy way for people with diabetes to know if they are developing or already have DKA (Diabetic Ketoacidosis). DKA is much more common in type 1 diabetes and can occur in insulin pump users whose pump may have become disconnected. Ketones can form when you have diabetes and suffer from a serious illness such as the flu or pneumonia. Ketones are a byproduct of fat breakdown when the body can’t absorb glucose due to lack of insulin. How Do You Use Ketone Urine Testing Strips? When Should I Use Ketone Urine Testing Strips? Store in the original container in a cool, dry place but not the refrigerator. 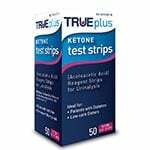 True Plus Ketone Urine Strips - These ketone strips are easy to use and give reliable and accurate results in 15 seconds. 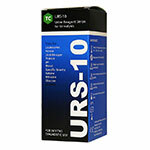 It contains a 6-level color chart for greater accuracy of ketone levels. Always consult your doctor when you have moderate to large number of ketones. 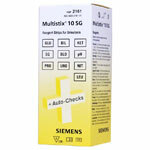 Multistix 10 SG Urine Testing Strips - Multistix 10 SG strips are easy to use and offer information about ketone production as well as glucose in the urine. There are several other tests on the urine sample indicating other markers relating to urinary tract infections as well as kidney disorders.